Goods news is a job well done. Newburger-Andes is always on the move. To follow is our most recent news and activity. Click here for archived news. 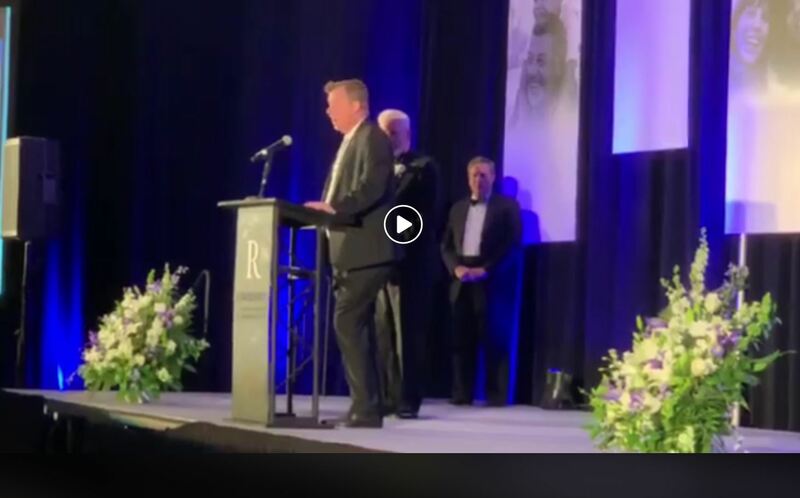 We are so happy to announce that our company was honored at the Saint Vincent De Paul Society's Evening of Hope. For the video, please click link above or below. 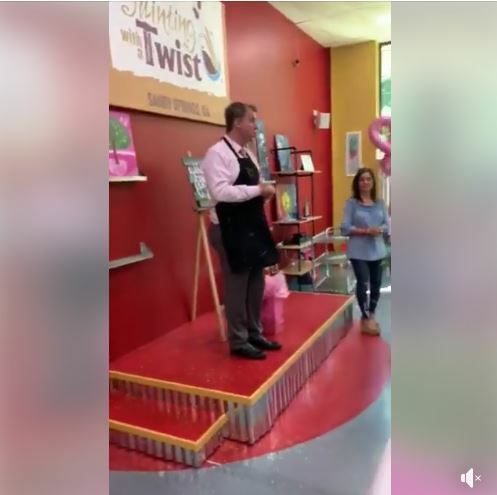 It was such a memorable team charitable event today at Painting with a Twist. Special thanks to Mia Amodio who is the studio owner for hosting our team! It was such a memorable team charitable event today at Painting with a Twist. Special thanks to Mia Amodio who is the studio owner for hosting our team! And to Missy Nichols and Samantha Villegas from our office for arranging everything for all Newburger-Andes employees to honor Breast Cancer Awareness month. The payments from Newburger Andes were all donated to The Breast Cancer Society. 27 of our employees attended. We also celebrated the courage of one of our employees Maria Garcia who has now defeated breast center, for the third time! We are all so proud of her! For Video, please click the link above or below. Congratulations to Steve Farrar who we honored as Top Producer for Newburger-Andes. Way to go, Steve!! Congratulations to Steve Farrar who represented Capstone in this transaction. GREAT JOB STEVE! CBRE arranged two long-term leases at 30 Tech Park, a recently repositioned 120,000-square-foot office building in Atlanta’s Peachtree Corners submarket. Capstone Logistics signed for 30,000 square feet, while ConstructConnect renewed its 38,000-square-foot lease at the property. Located at 30 Technology Parkway S., 30 Tech Park underwent a series of renovations including exterior refurbishments, the addition of creative office space and community outdoor spaces. Completed in 1997, the property is part of a four-building portfolio. The other three buildings, situated at 190 and 192 Technology Parkway and 35 Technology Parkway S., also benefited from similar improvements. 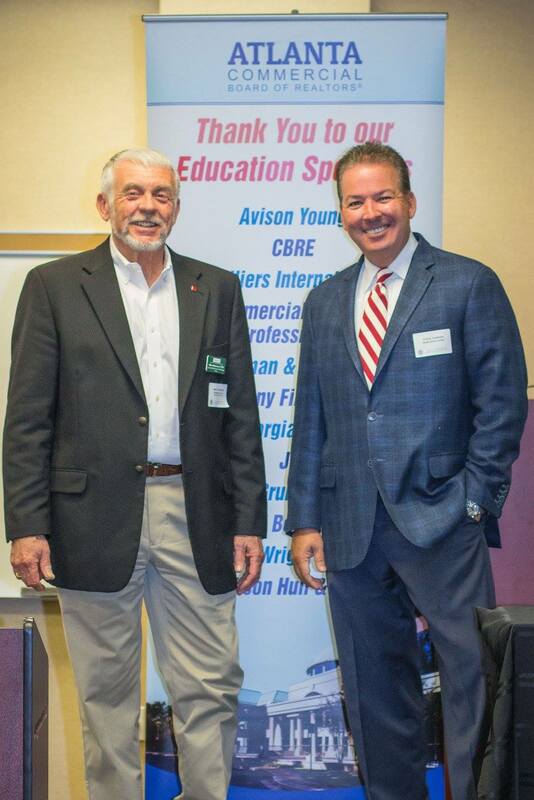 Congratulations to Steve Farrar from our office who spoke on this panel this morning. GREAT ACCOMPLISHMENT STEVE! A full room of ACBR members met this morning for the July Education Seminar. The session title was "Money Making Secrets. Steve Farrar of Newburger-Andes was one of the speakers. Congratulations, Steve! We are very proud of you! For over 25 years, Mark has been with us every day and is one of the key players in our success. We are very lucky to have his time and talents at Newburger-Andes. Go Mark!! 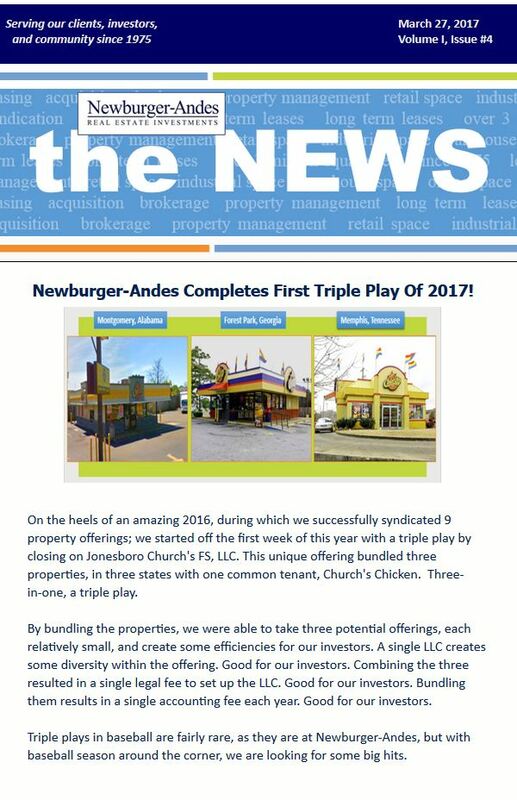 Newburger-Andes Completes First Triple Play of 2017! On the heels of an amazing 2016, during which we successfully syndicated 9 property offerings; we started off the first week of this year with a triple play by closing on Jonesboro Church's FS, LLC. This unique offering bundled three properties, in three states with one common tenant, Church's Chicken. Three-in-one, a triple play! Congratulations to John Woodhams from our office who passed the CCIM final exam and is now a certified CCIM member! Students must take multiple classes that focus on the above areas and pass a cumulative exam that is held twice per year. Currently, only about 6% of all real estate agents hold this designation. All of us at Newburger-Andes are proud of you John! Newburger-Andes was proud to sponsor St. Vincent De Paul Society's 9th annual Evening of Hope Gala! St. Vincent has been a client and close friend of Newburger-Andes for the last 19 years, and our firm treasures this relationship! The Society of St. Vincent de Paul Georgia empowers people, regardless of their background, ethnicity, or faith, to achieve stability and self-sufficiency by offering financial, material, educational, and spiritual support and by collaborating with others to develop and deliver programs and services that help those in need. 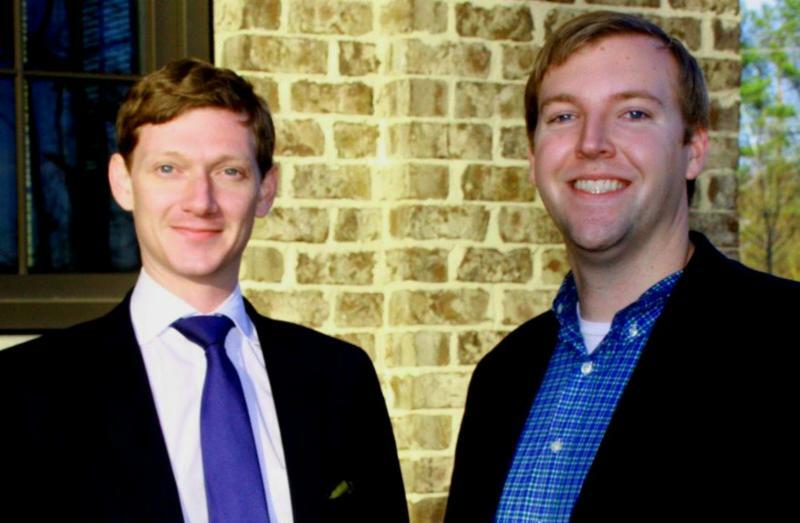 of John Woodhams and Adam Thomas, our compliment of Sales Associates is now at ten employees. Adam started with us as an intern in 2012 while getting his BBA in real estate degree from GSU. He has learned the business and has quickly become one of our leading leasing agents. In fact, since his start he has completed over 100 transactions. In 2015 he sourced 3 syndication opportunities and in the final quarter of last year, completed two outside sales representing nearly 30,000 square feet of space. John attended Rollins College in Winter Park Florida and joined us just over a year ago. An avid squash player, he is ranked #49 in the world on the "SDA Pro Tour. " With his management degree, prior business experience, and winning spirit, he has rolled up his sleeves to learn the business. In fact, since he started in 2014 he has completed nearly 60 leases, closed one outside sale, and sourced two syndication opportunities. In the past year John has sourced 4 new listings which presently make up 25% of the properties we have listed for sale. 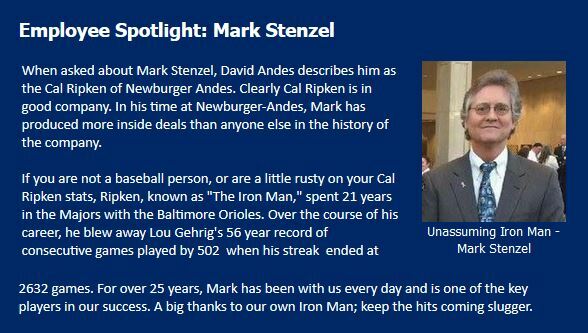 A tip of the hat to these young men and to the entire Newburger-Andes Sales team. 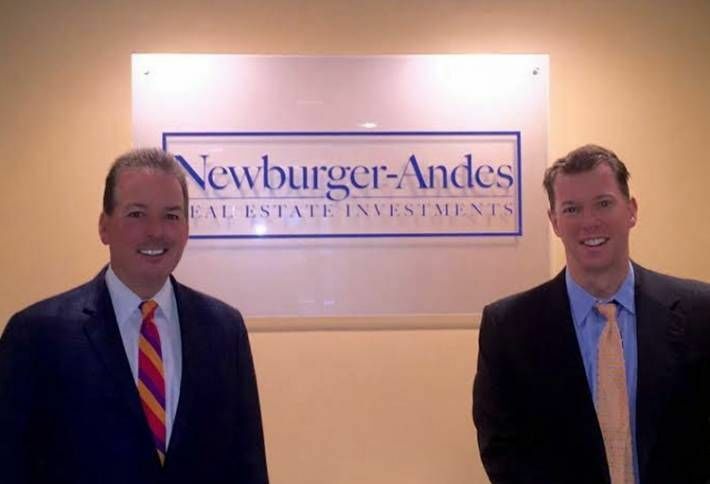 We chatted with Newburger-Andes' Steve Farrar and David Andes recently about the firm's progress toward owning more than 160 properties around the Southeast. They've hit the 125 milestone, with such recent buys as a Church's Chicken off Austell Road in Marietta, a Sherwin Williams on Panola Road, a Taco Bell in Jonesboro, and a Family Dollar in Chattanooga and another in East Point. The firm's come a long way with its syndication business—a close-knit network of well-off families who use them to place investment dollars in commercial real estate—since embarking on an effort to double its portfolio back in 2011. And David tells us the firm has seen a lot more competition for properties that at one time were largely ignored by many investors, with cap rates getting pushed downward. This has prompted Newburger-Andes to buy other types of assets in recent months, including a variety of single- and multi-tenant industrial properties in Metro ATL. 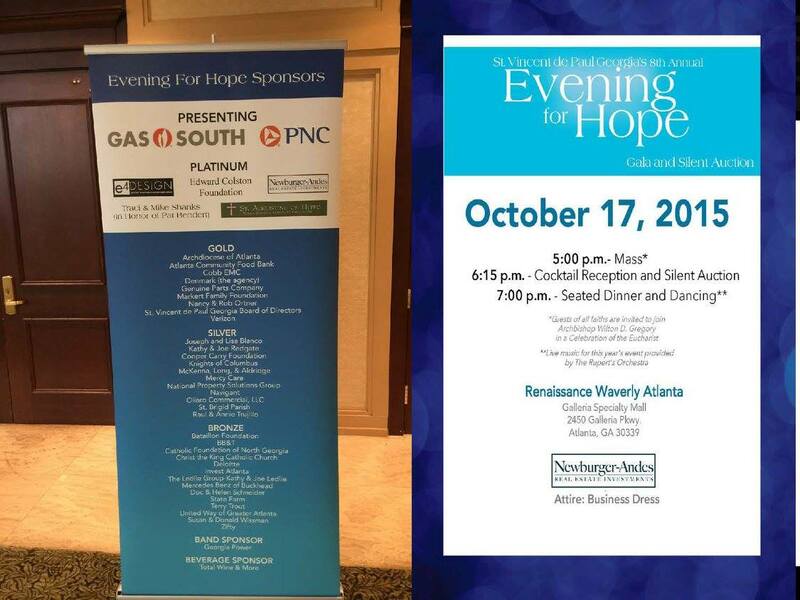 Newburger-Andes was proud to sponsor St. Vincent De Paul Society's 8th annual Evening of Hope Gala! 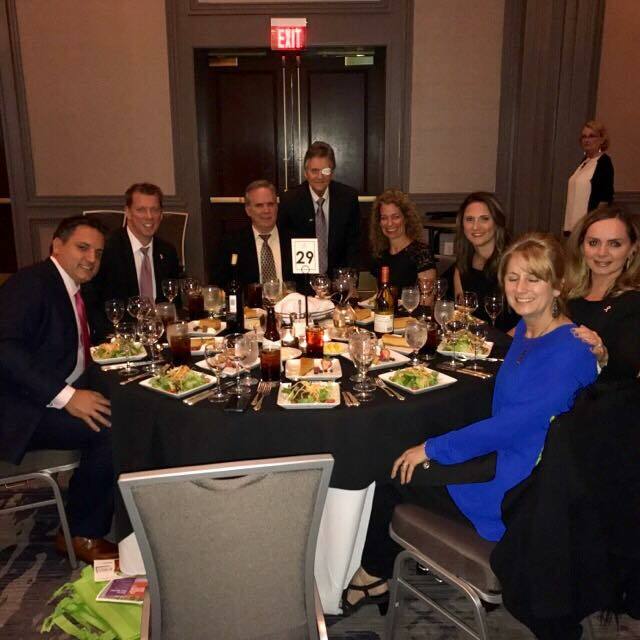 Newburger-Andes was proud to sponsor St. Vincent De Paul Society's 8th annual Evening of Hope Gala! St. Vincent has been a valuable client of Newburger-Andes for the last 18 years, and our firm treasures this relationship! The Society of St. Vincent de Paul Georgia empowers people, regardless of their background, ethnicity, or faith, to achieve stability and self-sufficiency by offering financial, material, educational, and spiritual support and by collaborating with others to develop and deliver programs and services that help those in need. David Andes was elected in 2012 to serve on the Airport Chambers Board and has been very active with the organization ever since. 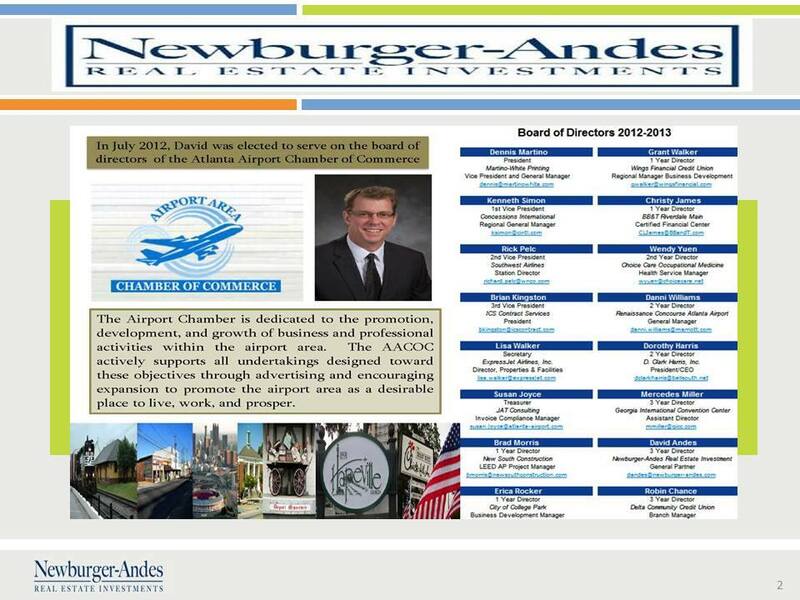 In 2015, the Airport Chamber nominated David to represent the Airport Chamber and sit on the board of the Atlanta Aerotropolis Alliance. 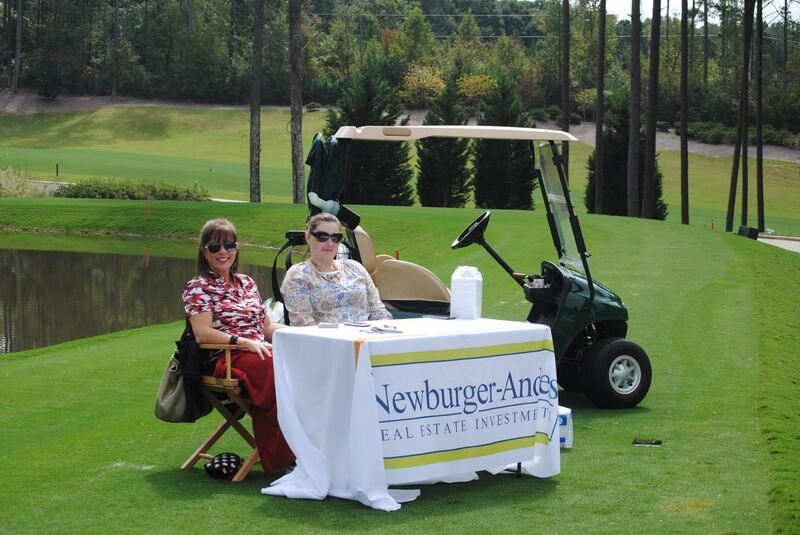 Newburger-Andes was proud to be a sponsor of the Sandy Springs/Perimeter Chamber of Commerce Golf Tournament held yesterday at Manor Golf & Country Club. We own many properties in Sandy Springs and appreciate all the support of the Chamber over the years. This was a great event and we would like to give special thanks to Samantha Villegas and Missy Nichols from our office who attended and helped work the event. 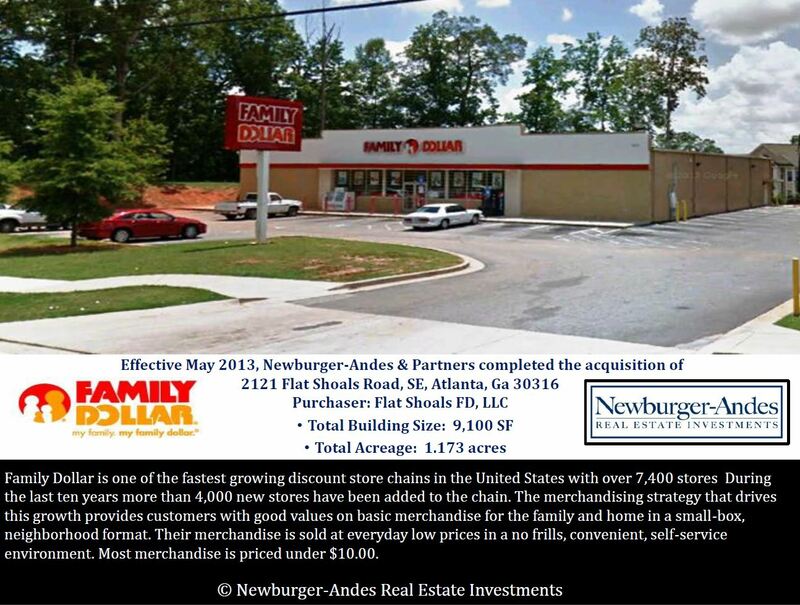 Newburger-Andes is proud to announce the closing of our newest single tenant retail investment, a new Krystal restaurant in Ringgold, GA.
Newburger-Andes had three big reasons to ring in January 2013! The firm acquired the following three properties in the fourth quarter of 2012: Commerce Circle, a multi-tenant industrial project in Atlanta; a free-standing Kentucky Fried Chicken (KFC) on Memorial Drive; and a free-standing Dollar General in Carrollton, Ga. N-A plans to keep the momentum going in 2013! 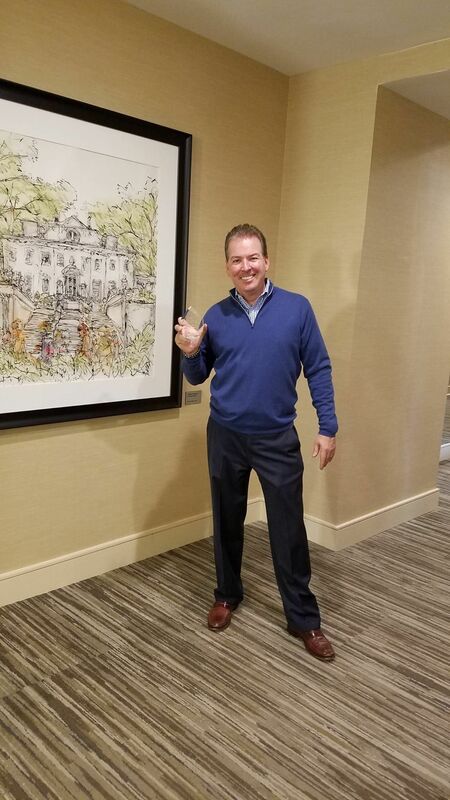 Steve Farrar inked a 9,000-square foot deal at Royal Centre One in Alpharetta. Steve Farrar inked a 25,000-square foot lease with PH&J, a Philadelphia-based special servicer firm, at 303 Perimeter Center, a seven-story Class A office building in Central Perimeter's largest office park. This marks Farrar's fourth deal with a national servicing firm within the past five years. Steve Farrar facilitated a 20,000-square foot lease for Atlanta Electrical Distributors in Canton, Georgia. Congratulations to David Andes for his appointment to the Airport Chamber of Commerce Board of Directors. Newburger-Andes bets on Dollar General and wins big with a 9,100-square foot Dollar General in Savannah. The triple-net kings of Atlanta so far have bought a retail store a month since the beginning of the year. After some 30 years, Newburger-Andes has decided to sell Downtown Avondale Estates, the 26,000-square foot retail/office tudor style building.